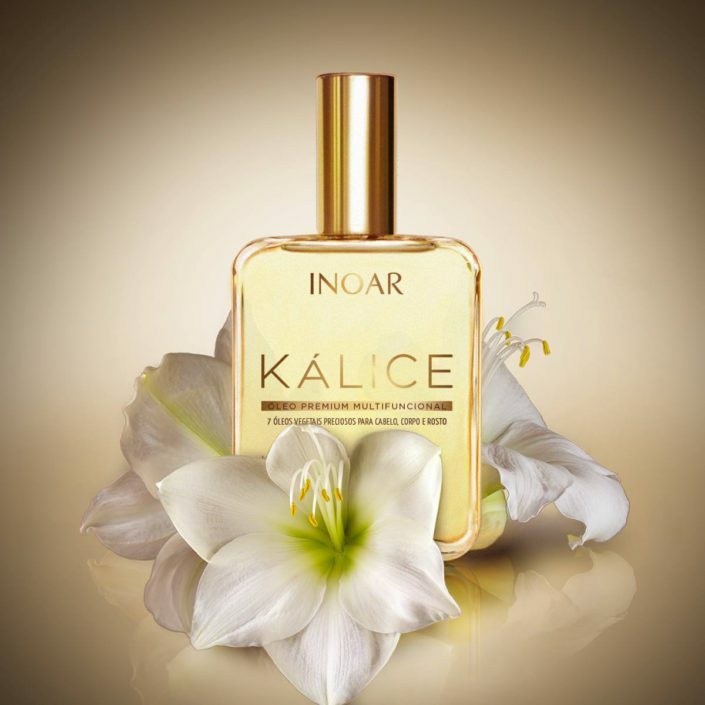 Whoever said diamonds were a girl’s best friend has never tried Inoar’s Kalice oil, duh. Our product of the week has to be this premium multifunctional serum with vitamin E and seven precious vegetable oils for hair, body and face: argan, myrrh, macadamia, ojon, sweet almonds, jasmine and rosemary. It is a special combination is moisturizing, nourishing, restorative, antioxidant, softening, protective and emollient, with light touch. In one step, Kálice penetrates deeply, moisturizing hair and skin with a mild and exclusive aroma and we can’t get enough. 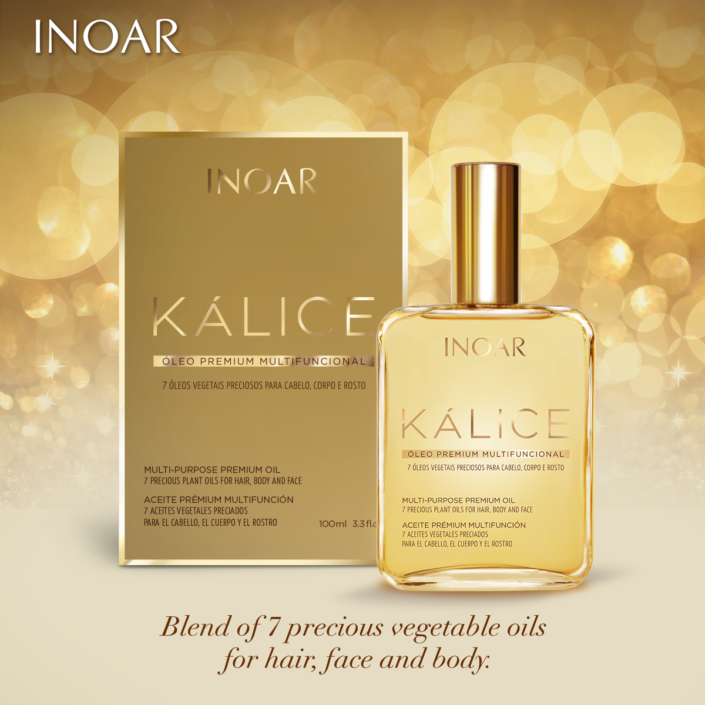 Main ingredients: Vegetable oils of Argan, Myrrh, Macadamia, Ojon, Sweet almonds, Jasmine and Rosemary. 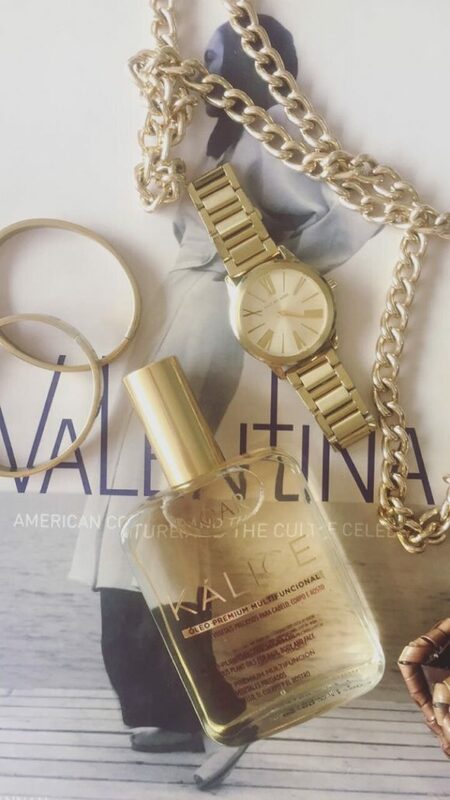 Put a drop on your hands and apply it alone, with your moisturizer or daily basis.